Home » Hourglass Figure » Nick Verreos » Nick Verreos blogs » Nick Verreos fashion tips » Nick Verreos thredUP » thredUp » thredUp blog » NICK APPEARANCES.....THREDUP.COM Blog "Best Styles to Achieve an Hourglass Figure"
NICK APPEARANCES.....THREDUP.COM Blog "Best Styles to Achieve an Hourglass Figure"
I'm so EXCITED to announce that I'll be writing a couple of blogs for the FAB site thredUP where I will be dishing out some great "Nick Tips" on Style, Fashion, and What To Wear for Your Body Type and to make your Shape Look Its Best! 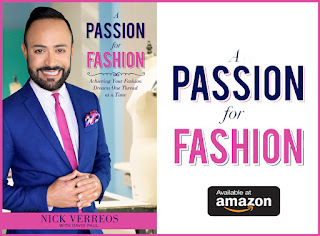 We’re excited to have fashion designer, “Project Runway: Under The Gunn” winning mentor and red carpet expert, Nick Verreos here to share his style advice and famous “Nick Tips” with the thredUP community this month— our “September Issue” of styleUP! We’re kicking it off with a series of simple tips from Nick that we can incorporate into our style routines to put our most fashionable foot forward. 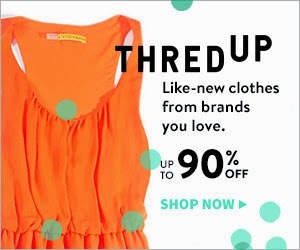 Hi there, thredUP fashionistas! I’m excited to bring some of my “Nick Tips” and style advice to EVERY WOMAN here on styleUP. Lots of women ask for helpful tips to dress for their body type. ”What styles will work best for me?” is a common question I hear, and I love answering it! I’ve put together some tips to help YOU look your best. 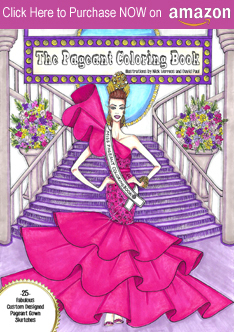 I want fashion to be your friend and to show you that you don’t have to break the bank to look super FAB! CLICK HERE to read my "Nick Tips" on achieving the Hourglass Figure through certain garments! 0 Response to "NICK APPEARANCES.....THREDUP.COM Blog "Best Styles to Achieve an Hourglass Figure""